Climate change is expected to exacerbate upwelling intensity and natural acidification in Eastern Boundaries Upwelling Systems (EBUS). Conducted between January-September 2015 in a nearshore site of the northern Humboldt Current System directly exposed to year-round upwelling episodes, this study was aimed at assessing the relationship between upwelling mediated pH-changes and functional traits of the numerically dominant planktonic copepod-grazer Acartia tonsa (Copepoda). Environmental temperature, salinity, oxygen, pH, alkalinity, chlorophyll-a (Chl), copepod adult size, egg production (EP), and egg size and growth were assessed through 28 random oceanographic surveys. Agglomerative clustering and multidimensional scaling identified three main di-similitude nodes within temporal variability of abiotic and biotic variables: A) “upwelling”, B) “non-upwelling”, and C) “warm-acid” conditions. Nodes A and B represented typical features within the upwelling phenology, characterized by the transition from low temperature, oxygen, pH and Chl during upwelling to higher levels during non-upwelling conditions. However, well-oxygenated, saline and “warm-acid” node C seemed to be atypical for local climatology, suggesting the occurrence of a low frequency oceanographic perturbation. Multivariate (LDA and ANCOVA) analyses revealed upwelling through temperature, oxygen and pH were the main factors affecting variations in adult size and EP, and highlighted growth rates were significantly lower under node C. Likely buffering upwelling pH-reductions, phytoplankton biomass maintained copepod reproduction despite prevailing low temperature, oxygen and pH levels in the upwelling setting. Helping to better explain why this species is among the most recurrent ones in these variable yet productive upwelling areas, current findings also provide opportune cues on plankton responses under warm-acid conditions, which are expected to occur in productive EBUS as a consequence of climate perturbations. • Adverse effects of elevated CO2 varied cross developmental stages of marine medaka. • Embryo developmental delay to elevated CO2 showed in concentration-dependent manner. • Middle stage of development was the most sensitive period to CO2 exposure for mortality. • Despite transfer to clean water, CO2 exposed embryos could not be recovered. • Key symptoms by elevated CO2 exposure encompassed mortality and cardiac edema. The potential leakage from marine CO2 storage sites is of increasing concern, but few studies have evaluated the probable adverse effects on marine organisms. Fish, one of the top predators in marine environments, should be an essential representative species used for water column toxicity testing in response to waterborne CO2 exposure. In the present study, we conducted fish life cycle toxicity tests to fully elucidate CO2 toxicity mechanism effects. We tested sub-lethal and lethal toxicities of elevated CO2 concentrations on marine medaka (Oryzias melastigma) at different developmental stages. At each developmental stage, the test species was exposed to varying concentrations of gaseous CO2 (control air, 5%, 10%, 20%, and 30%), with 96 h of exposure at 0–4 d (early stage), 4–8 d (middle stage), and 8–12 d (late stage). Sub-lethal and lethal effects, including early developmental delays, cardiac edema, tail abnormalities, abnormal pigmentation, and mortality were monitored daily during the 14 d exposure period. At the embryonic stage, significant sub-lethal and lethal effects were observed at pH < 6.30. Hypercapnia can cause long-term and/or delayed developmental embryonic problems, even after transfer back to clean seawater. At fish juvenile and adult stages, significant mortality was observed at pH < 5.70, indicating elevated CO2 exposure might cause various adverse effects, even during short-term exposure periods. It should be noted the early embryonic stage was found more sensitive to CO2 exposure than other developmental stages of the fish life cycle. Overall, the present study provided baseline information for potential adverse effects of high CO2 concentration exposure on fish developmental processes at different life cycle stages in marine ecosystems. Juvenile sporophytes and gametophytes of Ecklonia stolonifera were incubated in combinations of three pCO2 levels (360, 720 and 980 ppmv) and two temperatures (10 and 15°C for sporophytes; 15 and 20°C for gametophytes) to examine potential effects of climate change on photosynthesis and growth. Sporophytes had significantly higher maximum quantum yields (Fv/Fm) and maximum relative electron transport rates (rETRmax) at 720 ppmv than 360 and 980 ppmv. Also, these parameters were significantly lower at higher temperature of 15°C than at 10°C. Growth of female gametophytes was maximal at 360 ppmv rather than enriched pCO2 levels. Female gametophytes had significantly lower growth at higher temperature of 20°C than at 15°C. These results indicate effects of elevated pCO2 varied between generations: stimulating sporophytic photosynthesis and inhibiting gametophytic growth. Ocean acidification and warming would constitute a grave threat to seedling cultivation of E. stolonifera caused by growth inhibition of gametophytes at high pCO2 levels and temperatures. La acidificación oceánica producida por el aumento de la concentración de dióxido de carbono en el océano representa una amenaza para los ecosistemas marinos, porque provoca una disminución del pH y una alteración en la química del agua de mar. El copépodo calanoide marino Acartia tonsa Dana, 1849 es una especie ecológica y socioeconómicamente importante. Este trabajo se centra en cómo afecta el pH ácido al copépodo A. tonsa, determinando la tasa de supervivencia, reproducción y desarrollo a diferentes tratamientos de pH, e intenta averiguar si se produce una respuesta transgeneracional para contrarrestar los efectos de la acidificación oceánica. Ocean acidification and warming are known to alter, and in many cases decrease, calcification rates of shell and reef building marine invertebrates. However, to date, there are no datasets on the combined effect of ocean pH and temperature on skeletal mineralization of marine vertebrates, such as fishes. Here, the embryos of an oviparous marine fish, the little skate (Leucoraja erinacea), were developmentally acclimatized to current and increased temperature and CO2 conditions as expected by the year 2100 (15 and 20°C, approx. 400 and 1100 µatm, respectively), in a fully crossed experimental design. Using micro-computed tomography, hydroxyapatite density was estimated in the mineralized portion of the cartilage in jaws, crura, vertebrae, denticles and pectoral fins of juvenile skates. Mineralization increased as a consequence of high CO2 in the cartilage of crura and jaws, while temperature decreased mineralization in the pectoral fins. Mineralization affects stiffness and strength of skeletal elements linearly, with implications for feeding and locomotion performance and efficiency. This study is, to my knowledge, the first to quantify a significant change in mineralization in the skeleton of a fish and shows that changes in temperature and pH of the oceans have complex effects on fish skeletal morphology. 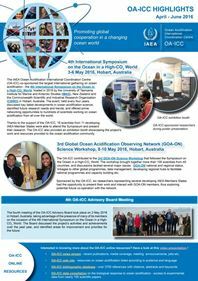 • Impacts of ocean acidification (OA) on edible oyster shells were investigated. • Microstructure, crystallography and the mechanical properties were quantified. • OA altered shell microstructure and crystal orientation. • The mechanical properties, however, were not affected under moderately low pH. • Altered crystallography appeared to be a potential compensatory mechanism. 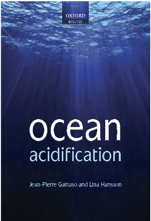 Ocean acidification (OA) is well-known for impairing marine calcification; however, the end response of several essential species to this perturbation remains unknown. Decreased pH and saturation levels (Ω) of minerals under OA is projected to alter shell crystallography and thus to reduce shell mechanical properties. This study examined this hypothesis using a commercially important estuarine oyster Magallana hongkongensis. Although shell damage occurred on the outmost prismatic layer and the undying myostracum at decreased pH 7.6 and 7.3, the major foliated layer was relatively unharmed. Oysters maintained their shell hardness and stiffness through altered crystal unit orientation under pH 7.6 conditions. However, under the undersaturated conditions (ΩCal ~ 0.8) at pH 7.3, the realigned crystal units in foliated layer ultimately resulted in less stiff shells which indicated although estuarine oysters are mechanically resistant to unfavorable calcification conditions, extremely low pH condition is still a threat to this essential species.